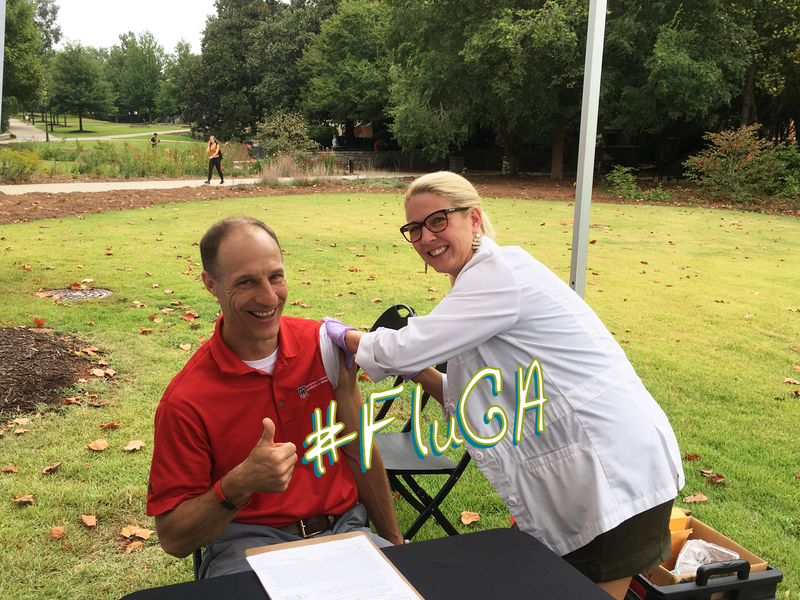 Director of UGA's Office of Emergency Preparedness Steve Harris gets his flu shot. And how to treat it if you do get it. Flu season is upon us! At the University Health Center we are, as you can imagine, preparing for flu season. I want to offer some simple steps you can take to keep yourself and the UGA community healthy. Stay home if you are sick. A good rule of thumb if you have the flu is that you should stay home as long as you have a fever. You can return to school or work if you are fever-free for at least 24 hours withoutusing fever-reducing medicines. 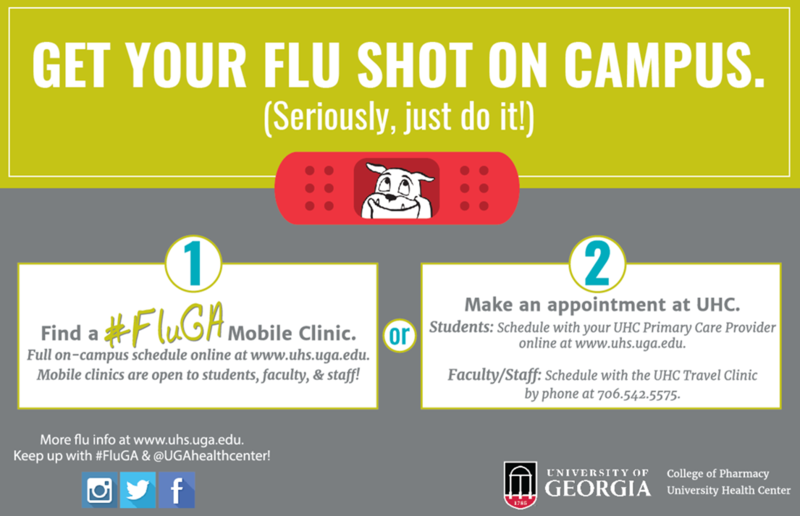 For more information about the flu, getting a flu shot or when to seek a health care provider, visit the University Health Center’s Influenza site. If you are interested in a #FLuGA Mobile Clinic coming to your department or organization please send a request. 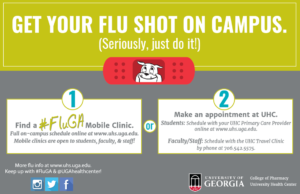 UGA faculty and staff can drop in at the Allergy & Travel Clinic on Wednesdays from 8:30 to 11:30 a.m. and 1 to 4 p.m. and on Fridays from 1 to 4 p.m. until Nov 16.